Dr Aman Srivastava, Professor (Finance) at IMI, has over twenty years of experience in research, teaching and corporate training. He has trained Government officers and corporate executives of more than 50 countries. 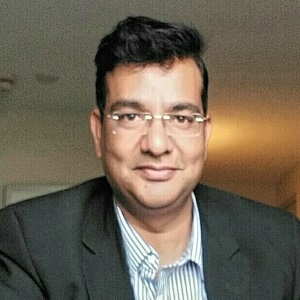 He has conducted training programmes for executives of ONGC, Oil India, Indian Oil, HPCL, GAIL, NTPC, NHPC, SJVN, Coal India, SAIL, NALCO, MCX, RAIL Tel Corporation, HUDCO, MSME, TCIL, AC-Nelson, Greenfield.com, Standard Chartered Bank, NAFED and much more. He has published research papers and cases in national and international journals including Theoretical Economics Letters (TEL), International Journal of Theoretical & Applied Finance (IJTAF), Asian Economic Review, Global Business Review, Asia Pacific Business Review, Decision and much more. His areas of specialization are corporate finance, risk management, mergers & acquisition and investment & wealth management. He has participated in training programmes of Harvard Business School, Richard Ivey School of Business and AACSB International, USA. He was awarded for his cases and research papers by Strategic Management Forum at IIT Mumbai and IIT Kanpur. He can be reached at: <aman@imi.edu>.